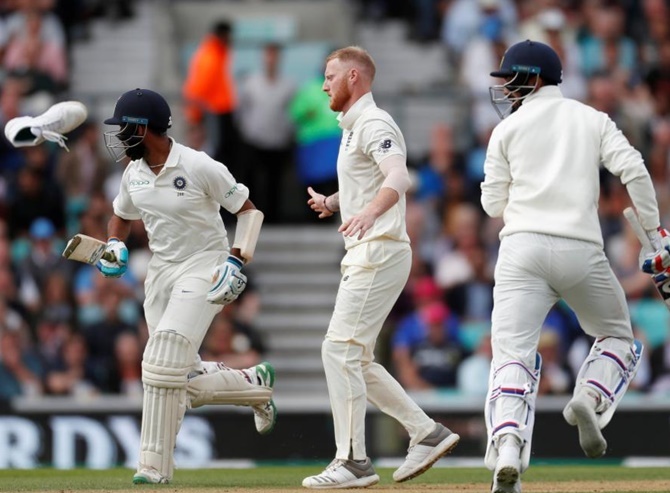 India's susceptibility to quality swing bowling once again came to the fore as they struggled to reach 174 for six after England's tail wagged considerably to give the hosts the upperhand on the second day of the fifth and final Test, at the Oval, in London, on Saturday. India still trail England by another 158 runs with four wickets in hand and three full days' play remaining in the match. In reply, India's top-order disappointed again with Shikhar Dhawan (3) failing again cheaply in what could be his last Test innings for a considerable period of time. 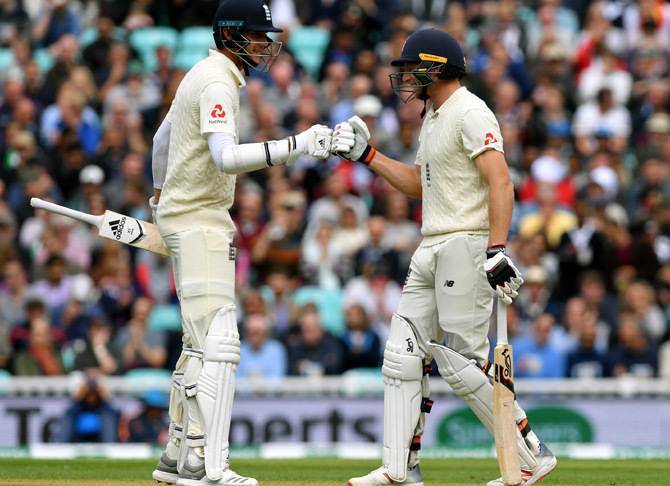 KL Rahul and Cheteshwar Pujara made identical 37s to stitch together 64 runs for the second wicket and stabilise the Indian innings before the English bowlers got back into the groove and picked crucial wickets when it mattered. 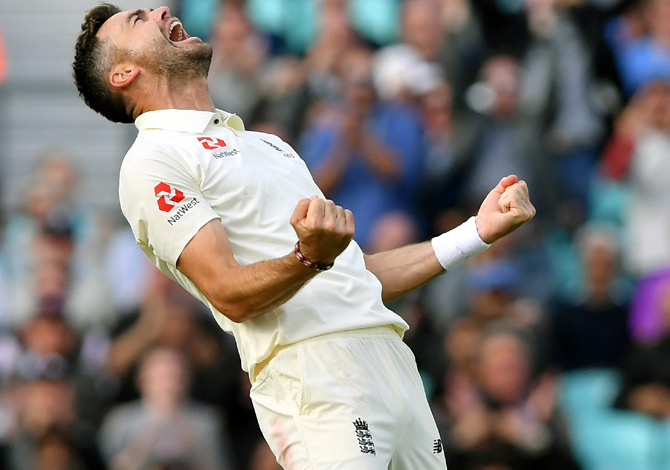 But he perished while trying to be too positive, edging a Ben Stokes (2/44) delivery to his counterpart Joe Root at the slip cordon. Vihari looked out of sorts against Stuart Broad's (1/25) in-swingers initially. The bowler had two LBW shouts against the debutants -- the first of which looked out on replays but England didn't opt for DRS. Vihari then regained his composure and batted till the end of day in company of Ravindra Jadeja (8 not out).